BtoBet continues to increase its global presence, with Nigerian communications colossus Daar Group partnering with BtoBet to enter the Nigerian market with its “234bet” brand. Thanks to this strategic partnership, DAAR aims to become a leader and a point of reference to the local betting and gaming industry. 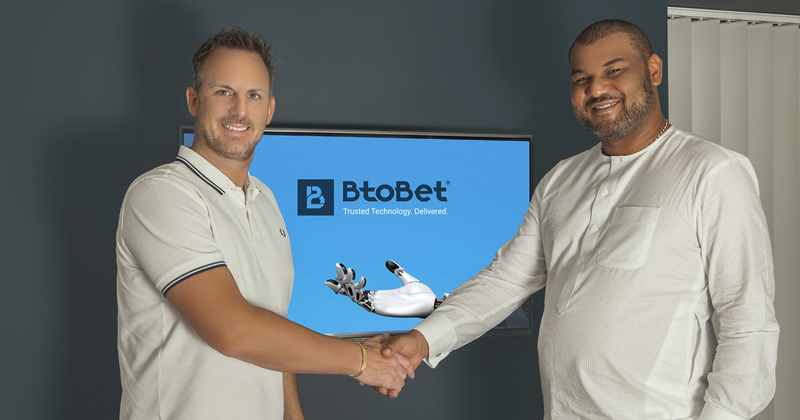 Raymond Dokpesi, owner of 234Bet, has stated that BtoBet’s advanced technologies coupled with its vast experience in the region made them the ideal partners to launch their operations, and in due process this has considerably reduced the time to market. He further added that Daar Communications’ vision to establish itself as a leader in its field shares common ground with BtoBet’s reputation as one of the major players in the industry, constantly striving to not only improve its technologies but also to anticipate the industry’s future scenarios. BtoBet will be travelling to Sandton, in the Johannesburg Municipality in South Africa, for the much awaited ICE Africa, ICE’s first ever gaming event outside the UK. The BtoBet team will have the opportunity to meet local and international operators, and showcase its gaming portfolio and innovations. Schedule a meeting by contacting sales@btobet.com or by calling on +356 27135974.